As the Old English proverb goes: "Mighty oaks from little acorns grow." This sweet acorn mantra is perfect for a new mum, to both celebrate their achievement in bringing new life into the world, and to symbolise the amazing potential of their new little one. 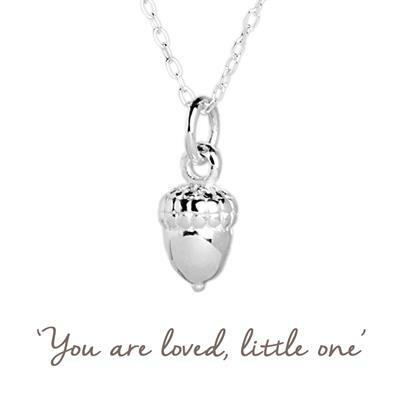 The perfect gift for: a new Mum or christening/confirmation gift. Or, a cute present for the baby of the family!